There’s something infinitely calming about the ocean. The combination of endless wide open spaces in a variety of blues and greens accompanied by the repetitive crash of the waves can relax just about anyone. In ABZÛ, Giant Squid and 505 Games provide a game that tries to harness that calming effect; allowing you to embark on a relaxed exploration of the ocean as a nameless and voiceless explorer imbued with a strange and powerful connection to the sea. 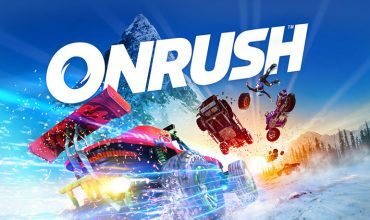 While at times the undirected, and very light story becomes repetitive – the short duration allows this to be a good game for those looking for a completely stressfree and tranquil way to spend a couple of gaming hours. Opening up with a very concise and simple tutorial you find yourself in the role of a strange human-like underwater explorer in an ocean world. You are left alone to explore the ocean bed, and while, at first, this means just gazing at different fish and underwater landscapes, you’ll soon you notice that a few objects can be interacted with. The first of these initiates an odd-looking, motorised camera gadget that will provide some light and follow you around, as well as opening up further areas to be explored. 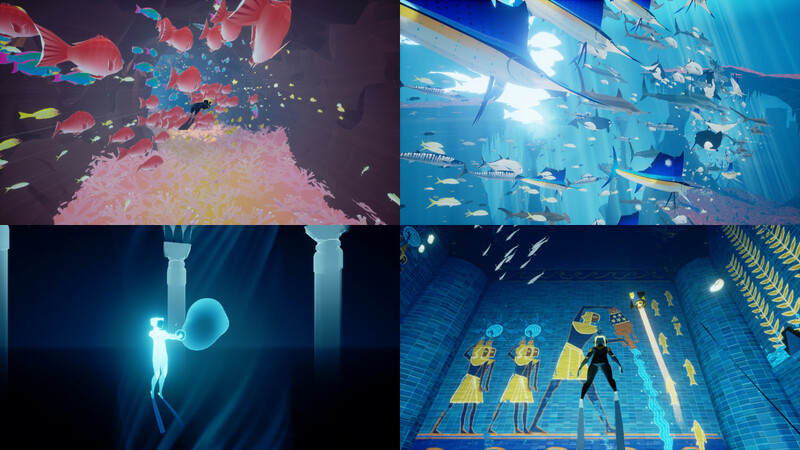 And though seemingly open, ABZÛ cleverly (almost unknowingly) has you follow a set-path and soon you’ll get glimpses of the story. This is a world of ancient underwater life and a people and a culture that lived symbiotically with this life and treasured it’s largest creatures but is now seemingly gone. It is a history of connection that has somehow been broken. The explorer is involved, and it is this pursuit for cause and purpose that urges you slowly forward in the game, in a search that involves a kaleidoscope of colours, pyramidal alien-looking devices and the pursuit of a troubled Great White Shark. 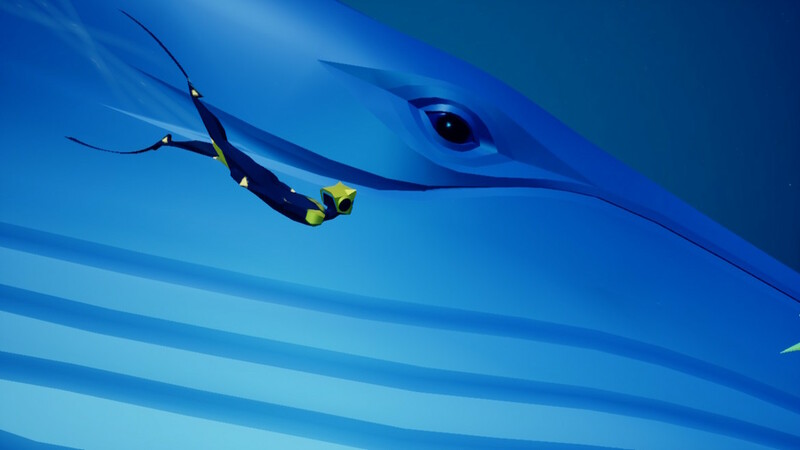 With little guided movement and no long narrative exposition, ABZÛ wordlessly guides you through this story relying rather on music, colour and your own imagination to fill in the blanks. With little guided movement and no long narrative exposition, ABZÛ wordlessly guides you through the story relying rather on music, colour and your own imagination to fill in the blanks. As the explorer, you are tasked with diving around eight areas. Each area has a unique appearance, a variety of indigenous fish, very few collectables and a very simple puzzle that must be completed in order to move onto the next. As you calmly explore the depths – you will never feel any sense of urgency, but rather a sense of curiosity of discovering something important. The game actually encourages taking your time to see the wildlife around you and each area contains a Meditation spot. While meditating you can take a closer look at each fish inhabiting the level and gain a slightly different visual perspective of the level itself. After completing each area the explorer enters a dreamlike world where he can imbue life back into the ocean and once complete, enters a what look like temples of an ancient people with wall paintings depicting what has come before and the apparent tragedy that then occurred. The entire game will only take you around 2 hours to complete. And while this short play-though may be seen as a negative, the limited duration did mean that a few of the gameplay shortcomings did not become overly irratating. 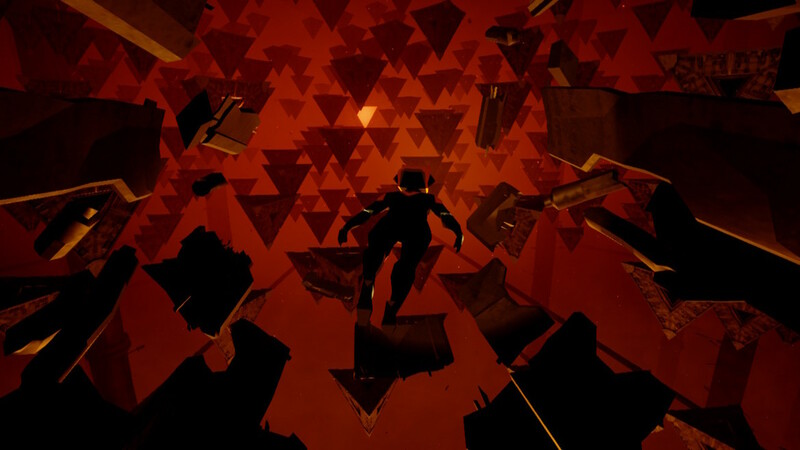 The gameplay-loop is simple and while some may enjoy the undirected nature of the exploration, I found that while this was quite fun at first – later levels just felt too similar and so instead of being a fun search, exploring became a bit more of a boring repetitive slog than I prefer. This really felt like a lost opportunity because there were also a few of the other mechanics that were quite fun but were seemed underutilised. As an example you have the ability to grab onto the bigger fish and have them take you around – however, after trying this a few times the experience felt the same no matter what type of fish you held onto, and all that occurred was that you travelled around the area in a random fashion and at virtually the same speed – making the experience feel a little pointless. Also, despite swimming around with your friendly camera gadget and using it to enter certain areas in the beginning, later your gadget friend just disappears. Giving the gadget a few more abilities may have helped in keeping things a little fresher in the later sections. Finally, while movement is relatively smooth (and happily you can choose to have player movement and the camera set to either inverted or normal) I did find that I sometimes had to use an awkward combination of both to turn around easily. 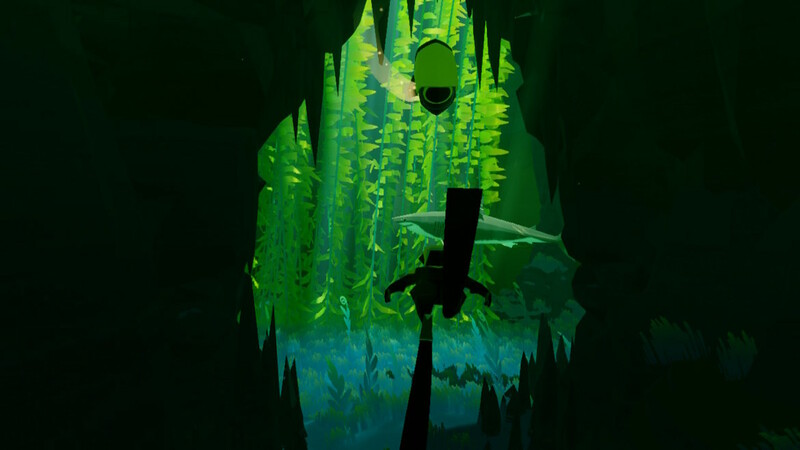 And while this is pretty common for this kind of 3D game, it felt a little inconsistent in ABZÛ. The entire game will only take you around 2 hours to complete. And while this short play-through can also be seen as a negative (I personally would’ve loved something a little longer and a few more areas to explore) – the limited duration did mean that a few of the gameplay shortcomings that I experienced did not become overly irritating. 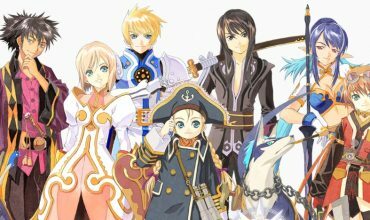 So despite the issues I mentioned above, exploring the ocean world and trying to work out the story lead to a short, calm and ultimately enjoyable experience. And that really has a lot to do to the looks and sounds of the game. 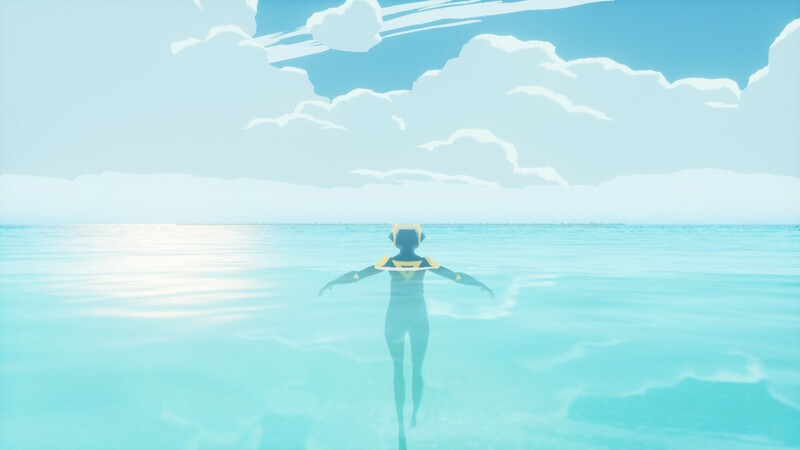 Both the director of the game, Matt Nava, and composer, Austin Wintory, (as well as a few other members of the development team) worked on Journey prior to their work on ABZÛ and the similarity in style is apparent. The palette of contrasting colours accompanied by serene, orchestral and dynamically changing music consistantly made for a striking tonally-rich experience. Visually, this game will definitely appeal to those that enjoyed Journey. The Switch handles the vistas well and it looks really good in hand-held mode as well on the big screen. Of course, not being a photo-realistic game, the art-style is subjective and while some will love the sharper, minimalist and almost polygonal shapes and colours, it will not appeal to everyone. After recently playing another game with quite a unique art direction that I really loved – I was not immediately as taken with ABZÛ’s world even though it is undoubtedly pretty. The game plays with colours particularly well though, and the large palette of tranquil blues and greens contrasted with a few vibrant and menacing oranges and reds transmits tone visually, implicitly assisting the narrative. 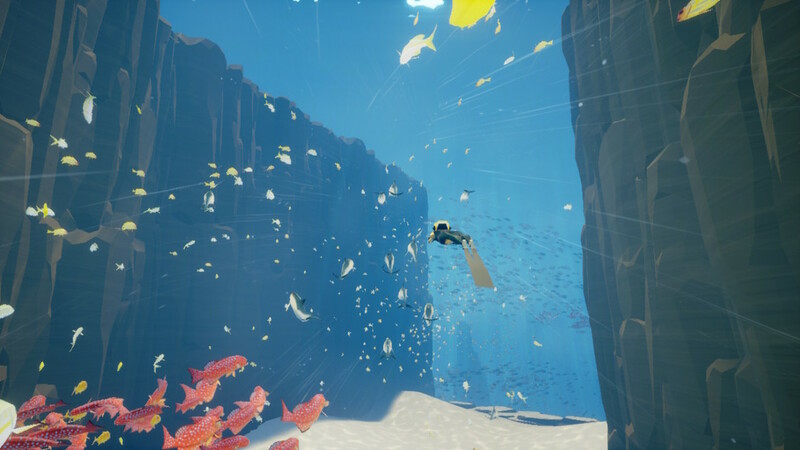 The sounds and music of the game also provide narrative substance to ABZÛ’s wordless world. 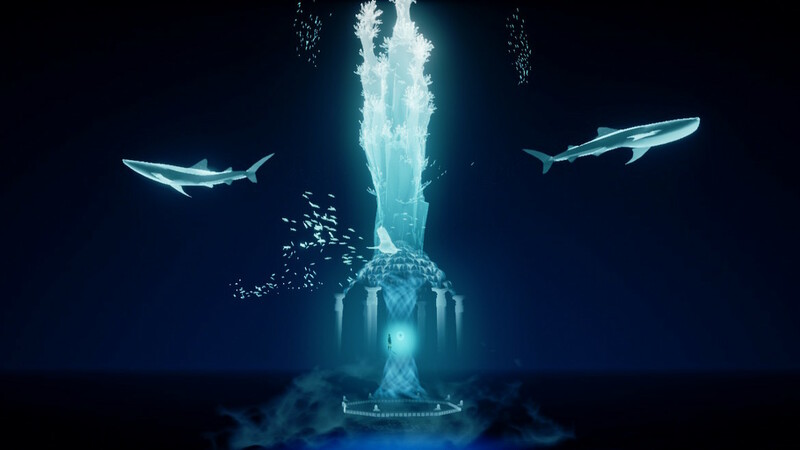 The sounds of moving water and the clicks of dolphins backed by the wonderfully calming music were all integrated so well into the gameplay that it is almost impossible to consider them separate features – and this is a fantastic achievement. The music is serene, orchestral and changes dynamically to match what is going on in the game. For lovers of this kind of video game music, the ABZÛ soundtrack will definitely be one to consider adding to your playlist and I really enjoyed moving from a large choral, almost gregorian-like light chanting in one scene to an uplifting string-instrument-led section in another, to virtual silence pierced only by a harp or an oboe. It consistently made for a really striking experience. ABZÛ is a beautiful, wordless game that transmits so much narratively using only wonderful music and visuals. While encouraging you to explore the truth of its world, the serene music and pretty vistas encourage calm, relaxed gameplay. 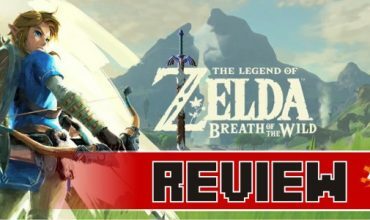 The undirected gameplay loop suffers a little from underused mechanics and can become a little repetitive, however, due to its 2-hour duration the music, visuals and general tranquillity of exploring are substantial enough to be an enjoyable experience.